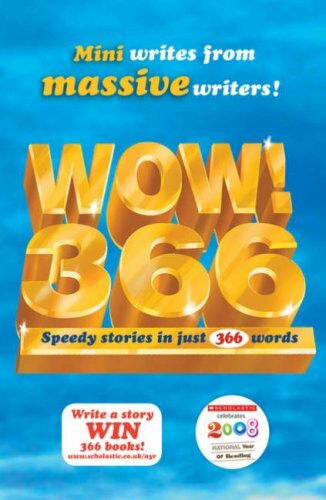 A collection of stories by some of the best writers around and each one is told within 366 words. Contributions include Philip Ardagh’s animals musing on the makings of a good story, David Henry Wilson’s myth of the leap year and Eva Ibbotson’s dragon story. The names reel off the pages – Terry Jones, Anne Fine, Michael Morpurgo. The result is quality writing, which means we’re presented with stories that are well structured to fit the space allocated, sometimes soaring away with one clear emotion, at other times telling a joke. The collection has got oodles of variety, and gives snappy entertainment and an insight into the craft of storymaking. It’s also sold in aid of Childline. And it’s even got Gordon Brown and Tom, from ‘McFly’.